There is some similarity between roofers and sailors. While sailors spend most of their time at sea and know how to move around to maneuver their boats, roofers, have spent years walking on roofs of all kinds and can easily move around without falling. Sailors are said to have sea legs which is something that roofers seem to mimic. And while the skill might seem easy, roofers have mastered the skill form years of experience. As a homeowner, just because you are skilled in rock climbing or skydiving, doesn’t make you a roof fixer as it is a new ballgame altogether. The moral of all this is that while do-it-yourself may seem ideal for you, fixing your roof has an element of danger that comes with it. What then are the rules when it comes to do-it-yourself for your roof? Being on any rooftop will most certainly put your body in positions that are unsafe and uncomfortable. The first thing you need to do when you opt to fix your roof by yourself is to ensure you wear shoes with rubber soles to prevent you from slipping. Additionally, ensure you have a harness and are working with someone else. As mentioned, fixing a roof is not as simple as most people think it is. If you want to DIY, ensure that it is safe for you to go up there. Always put your safety first. Ensure that you have insurance in case you accidentally slip and fall or injure yourself in some other way. Not knowing the extent of the damage on your roof means you need to first properly inspect the material before you can go on the roof. This way, you will prevent accidents that would have been a trap that would cost you more money. There are certain risks when it comes to doing your roof by yourself. Here are three points to consider on what, not to DIY. We all value our time, and we want to use it in the best way possible. If you inspect your roof and it’s something you can’t do, it’s best to call in an expert. You may invest time in fixing your roof but realized in the end that you wasted your time. Choosing to DIY on your roof is very dangerous. Approximately 2,000 Americans fall off their roofs each year and die. While it may not be clear what they were doing, chances are they were attempting to fix their roofs to save some few dollars. But with all this, most people fail to acknowledge how risky an affair roof fixing is. When you hire the services of professional roofing companies, often they have a warranty. That means that if anyone else fixes the roof and not them, you void the warranty and they can’t repair the roof for you at zero cost. Roofing is an art. That means that not anyone can do it. And while it is understandable why most people opt for DIY, your safety comes first. 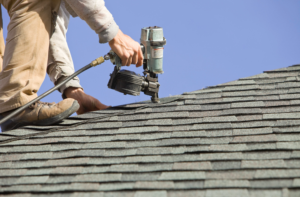 You can hire the services of a professional roofing company such as Roofing Brooklyn.